The York Catholic District School Board celebrates Treaty Recognition Week, November 5-11, 2018. The YCDSB recognizes Treaty Week as part of our ongoing journey of healing and reconciliation. As we continue this journey together, we gratefully acknowledge that our York Catholic schools rest on traditional territory of the Chippewas of Georgina Island and The Mississaugas of the Credit First Nations. During Treaty Recognition ... Continue reading "Treaty Recognition Week"
The recreational use of cannabis will become legal in Canada on October 17, 2018. Here’s what members of our York Catholic community should know. ... Continue reading "Legalization of Cannabis: What You Need to Know"
In the town of Newmarket, situated in a warehouse nestled between auto repair and detailing businesses, lies The Shop: Youth Unlimited. 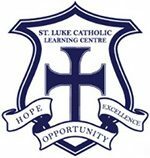 My class at St. Luke North took a trip there to spend two days working on small engines and electrical circuits, car lifts and tire machines, and to connect with the amiable workers there. A ... Continue reading "Reflections on The Shop"
More and more young people are facing issues with mental health. It is important that they feel supported both at home and at school. Parents and school staff, with the help of medical professionals, work together to meet the unique needs of students while at school. At St. Luke, staff collaborate to ensure a safe learning environment for students. Students are encouraged to ... Continue reading "World Mental Health Day"
This is an important reminder from the York Catholic District School regarding Secondary Credit Saturday International Languages programs. The last day to register for the program is Saturday, October 6th. We offer a variety of languages including: Polish, Italian, Urdu, Mandarin, Cantonese and Spanish as well as Learning Strategies and Careers and Civics at different locations. Please visit our website at ycdsb.ca and ... Continue reading "YCDSB International Languages Program"
October 1st, St. Luke will participate in the commemoration of Orange Shirt Day. This day centres on remembering the lives of the numerous children who were lost while in residential schools across the country. This event began in 2013 and was intended to raise awareness about the impact of the residential schools experience on Indigenous communities for over a century. Click here to ... Continue reading "Orange Shirt Day"